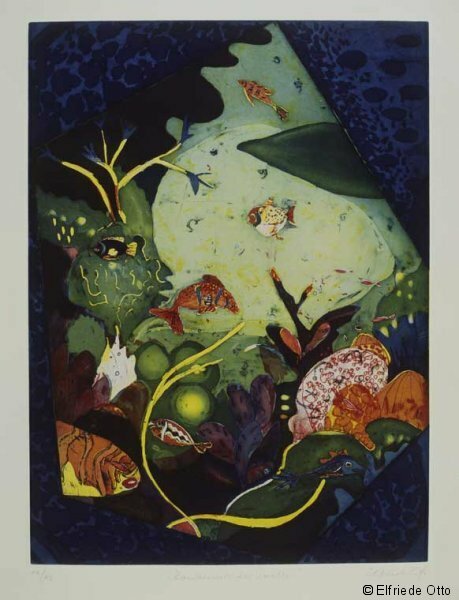 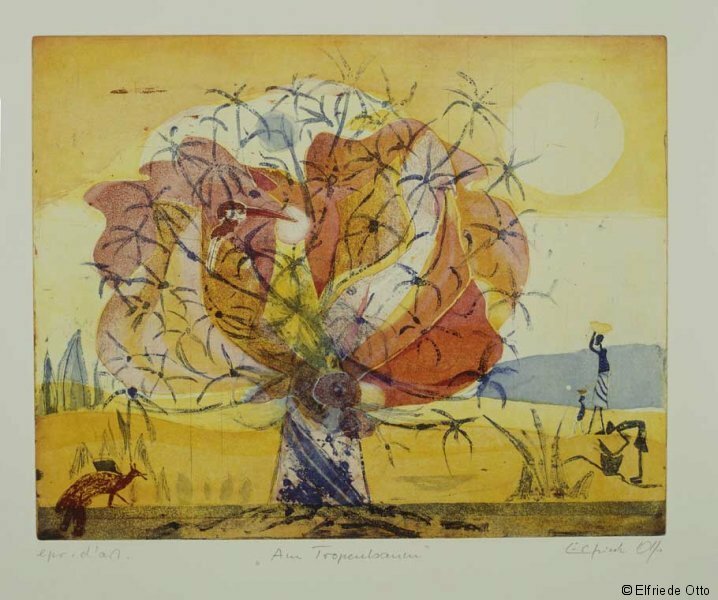 Numerous graphic prints tell the spectator about African primeval forests with their flora and fauna, about distant desert cities, mysterious castles and about reveries in a poetic, fairy-tale way. 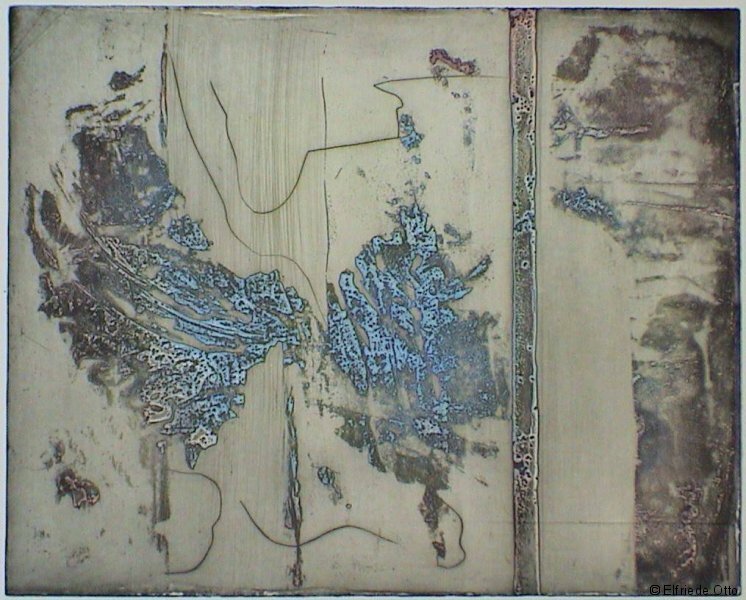 On the other hand, there are etchings which differ considerably in colour and form from the above-mentioned group. 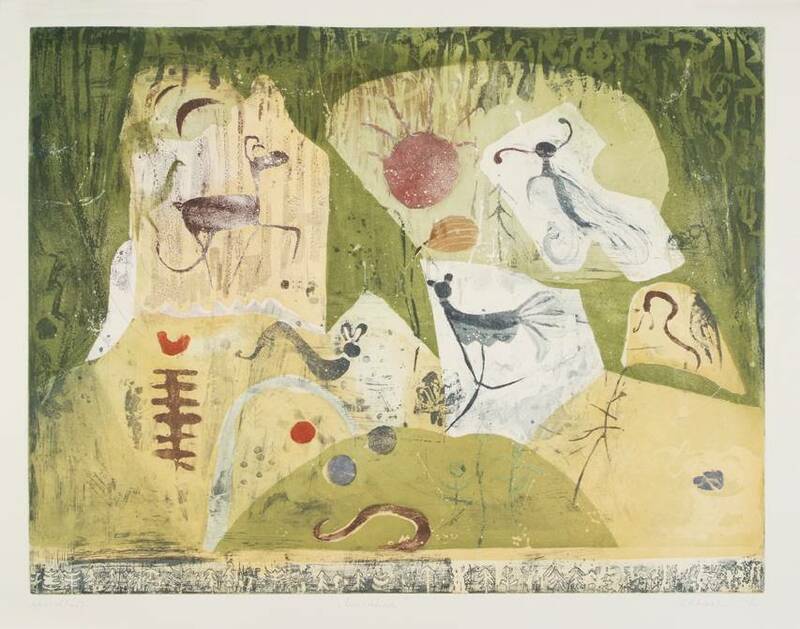 Here, the spectator will notice, for instance, archaic forms of expression, which Elfriede Otto discovered during her scholarship on the Norwegian Lofoten Islands when looking at rock drawings of the first inhabitants. 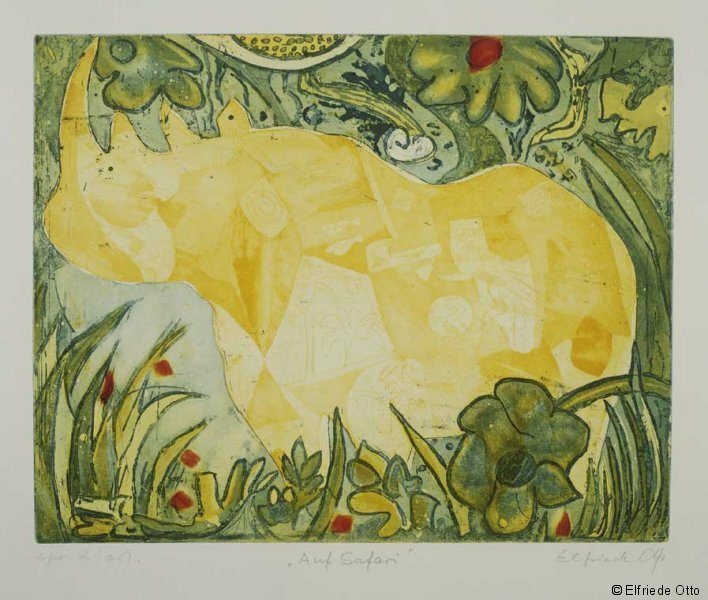 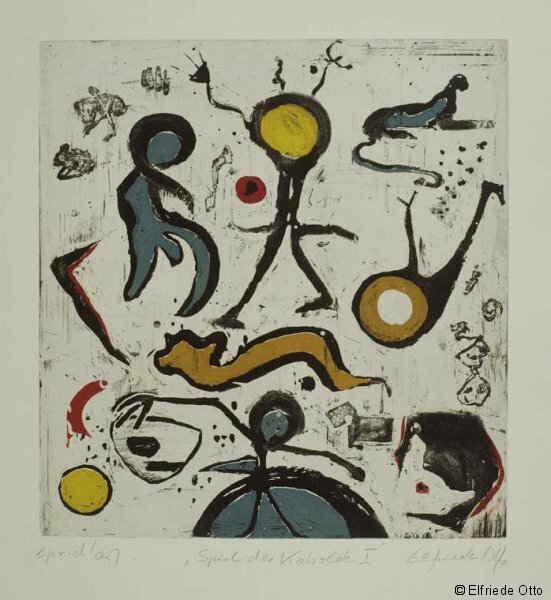 It is these forms of expression of prehistoric art which lead Elfriede Otto to abstraction. 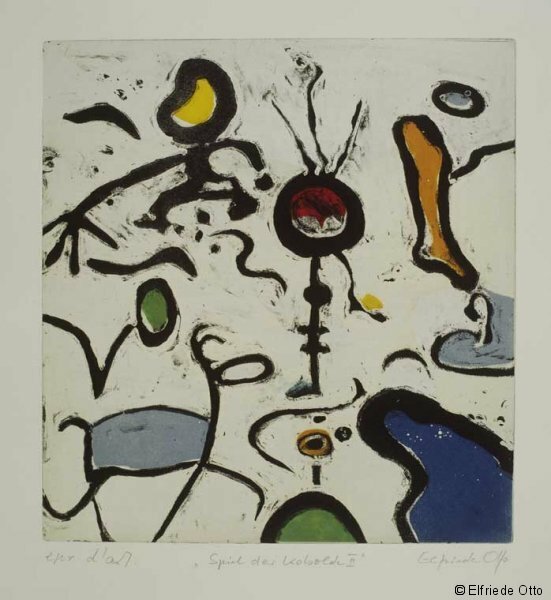 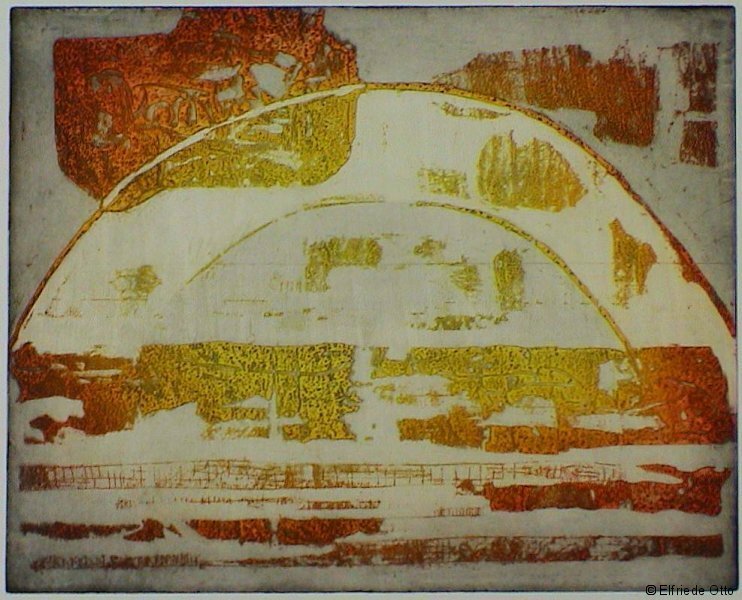 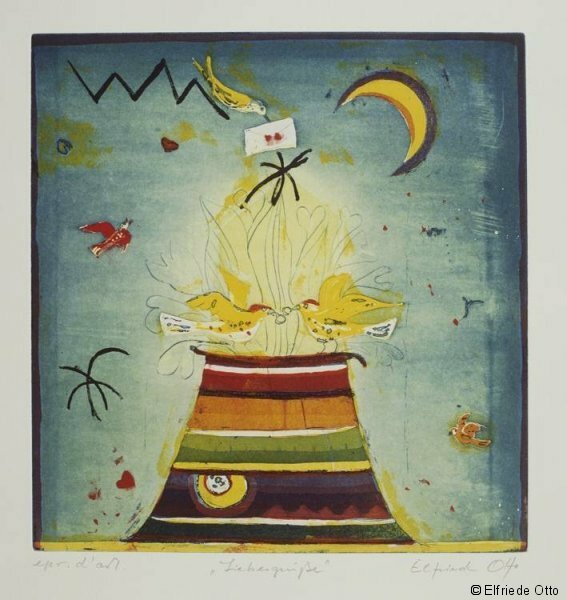 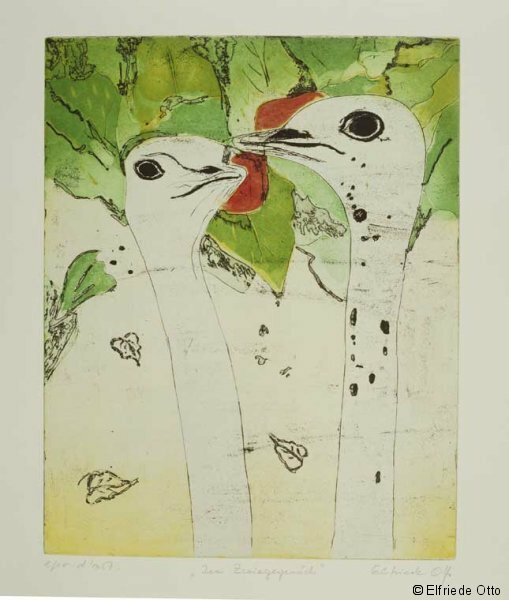 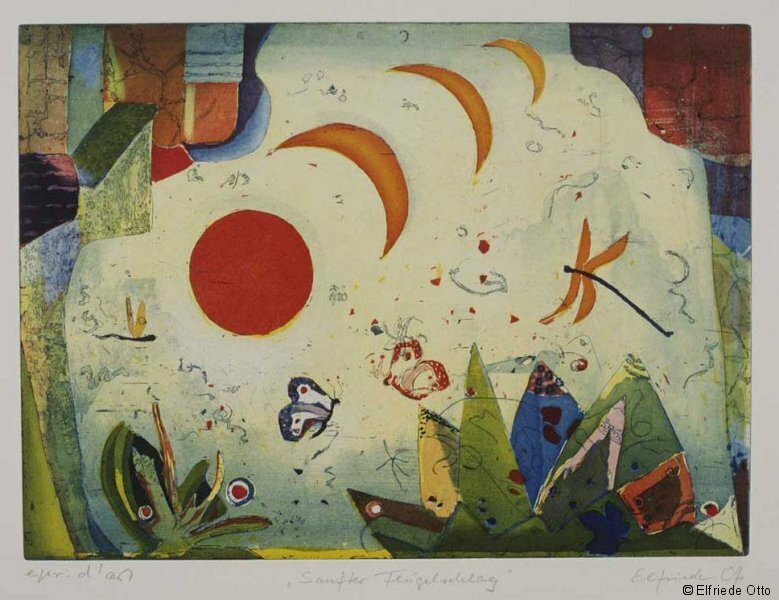 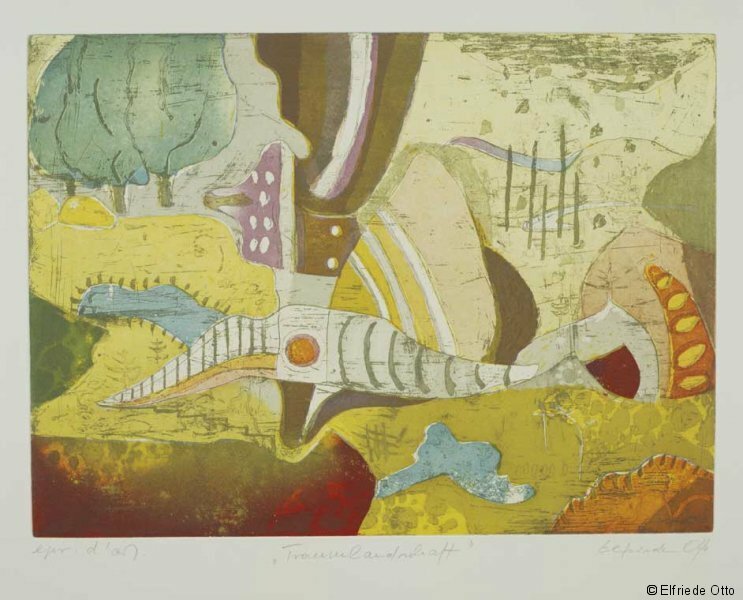 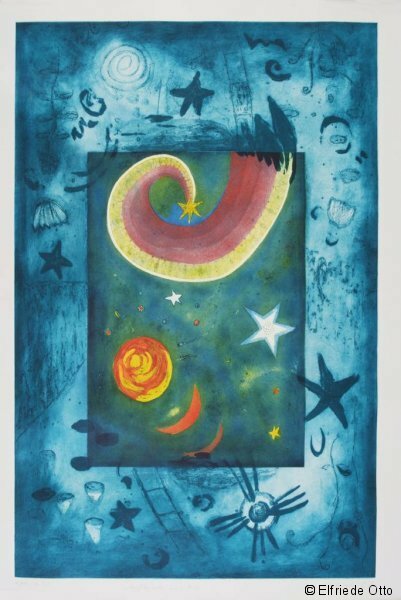 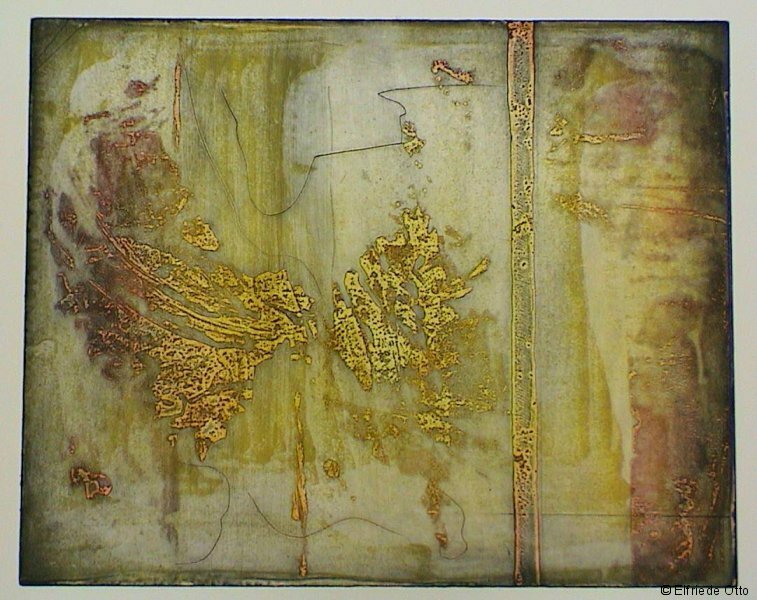 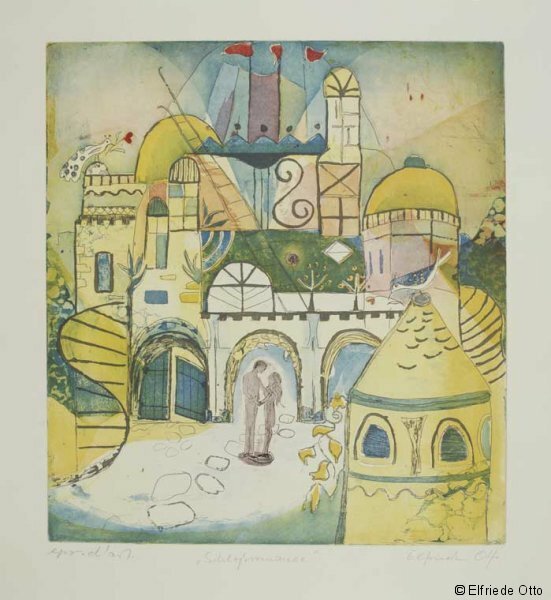 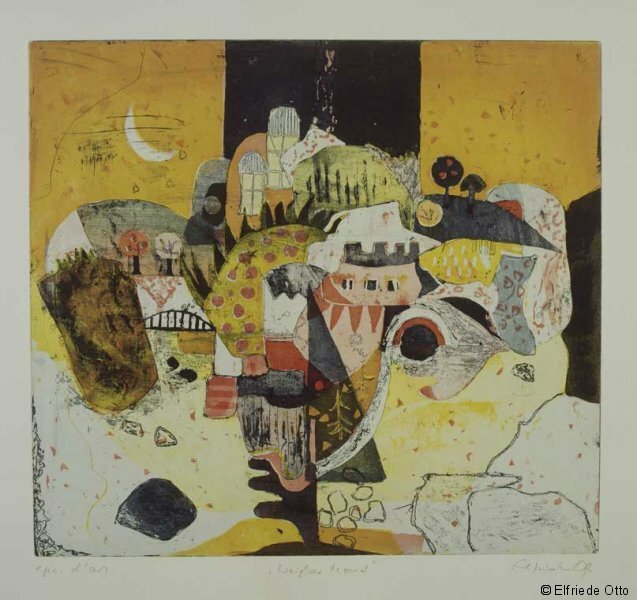 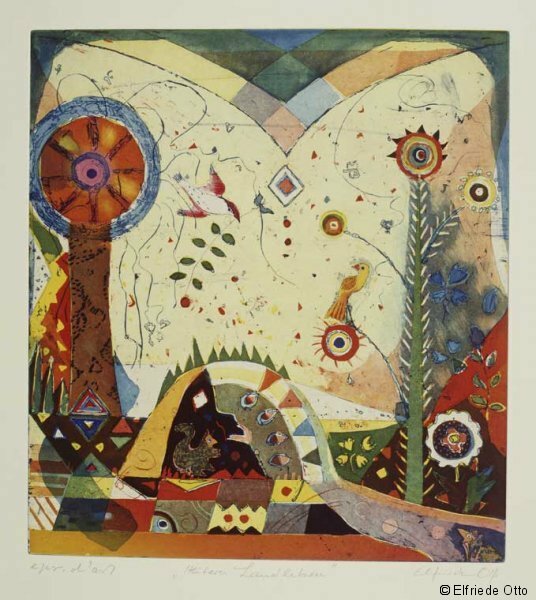 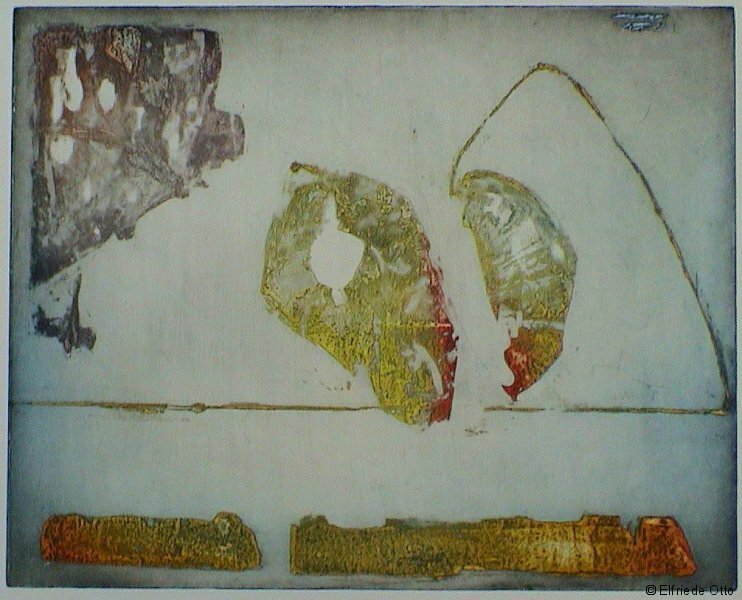 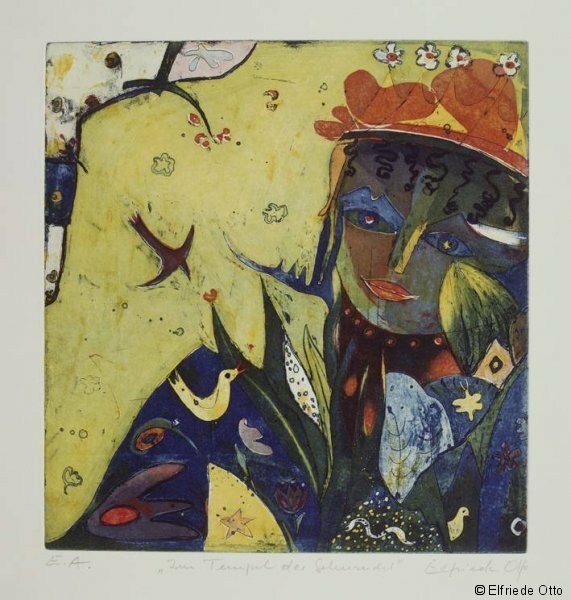 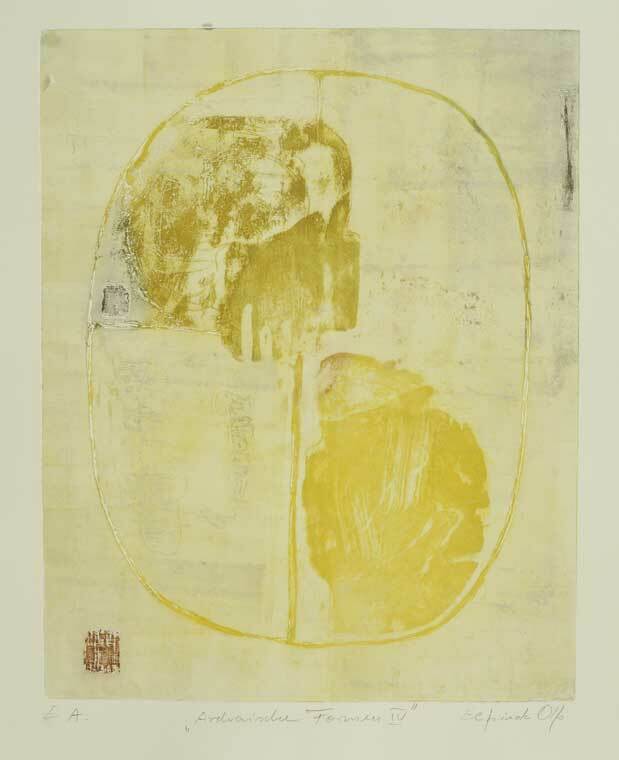 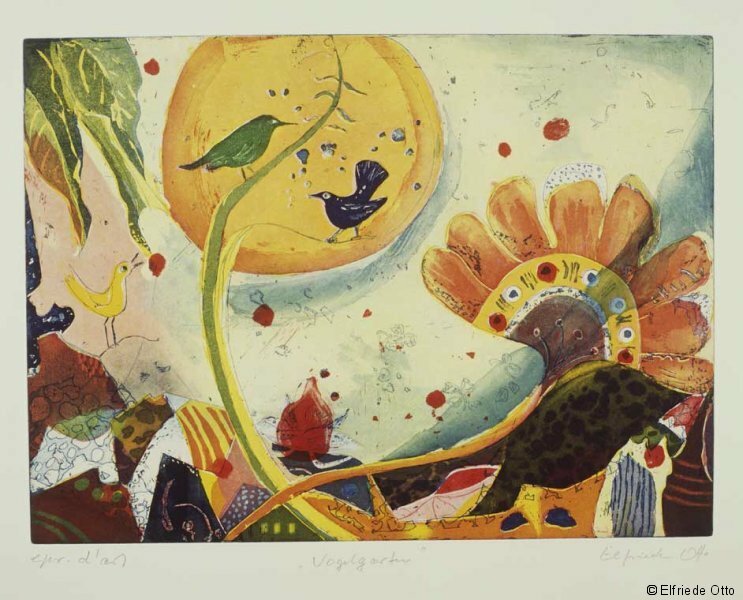 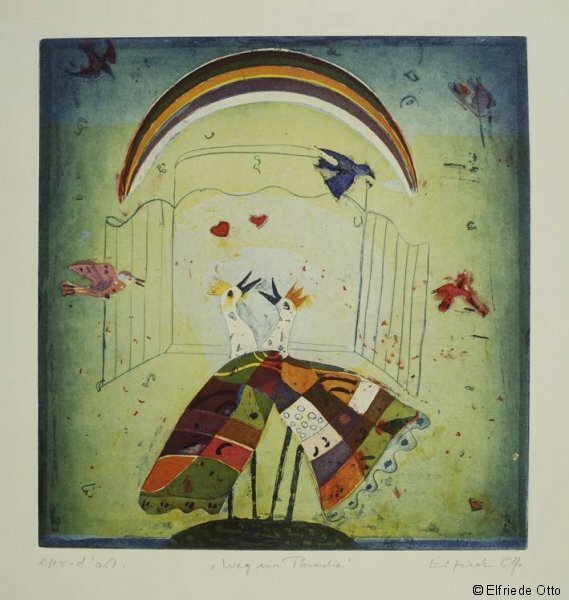 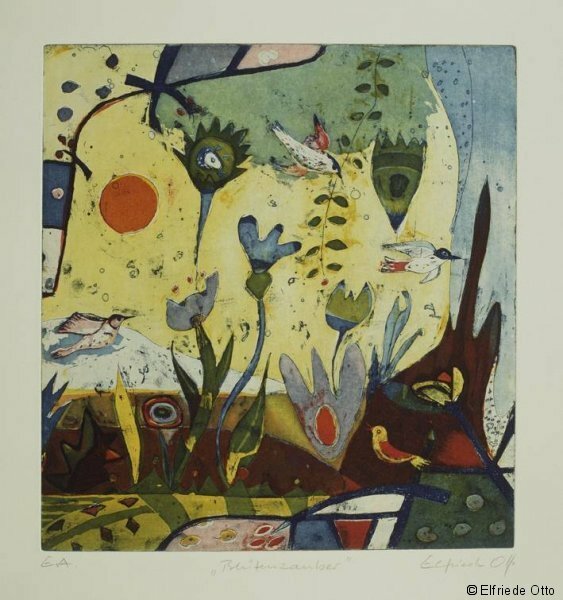 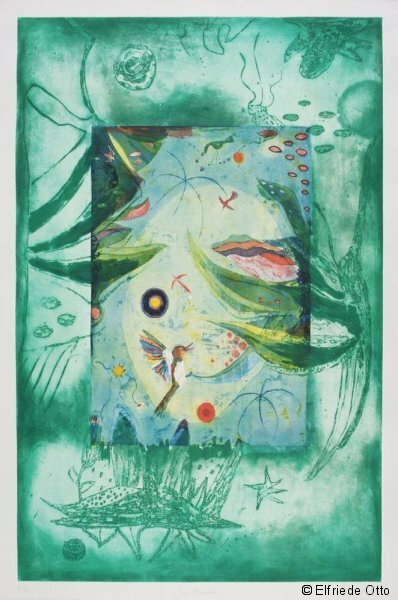 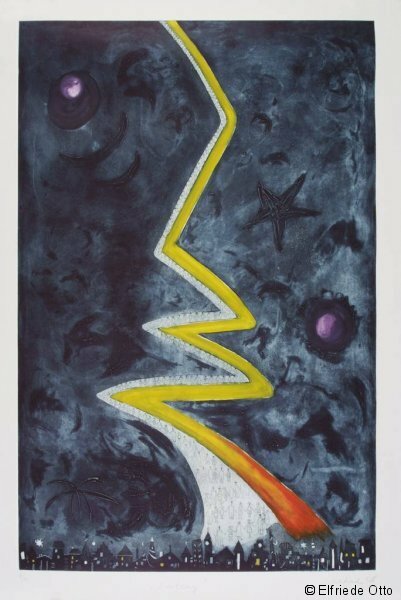 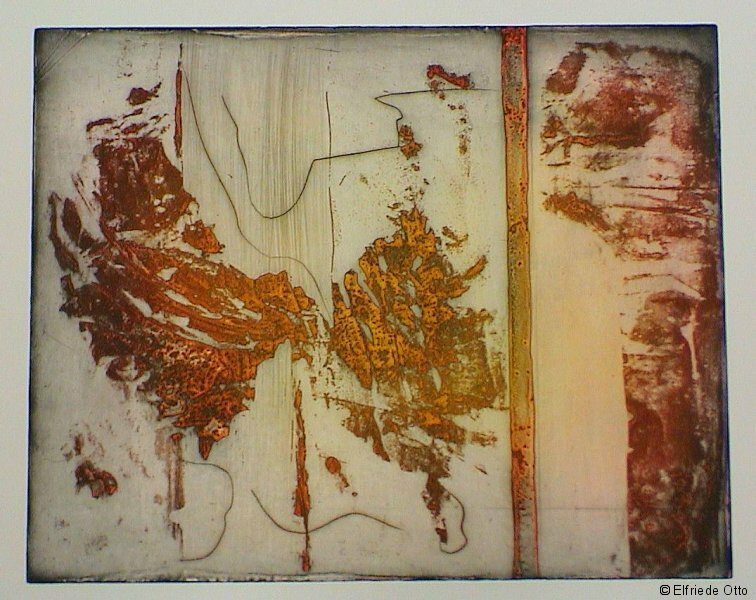 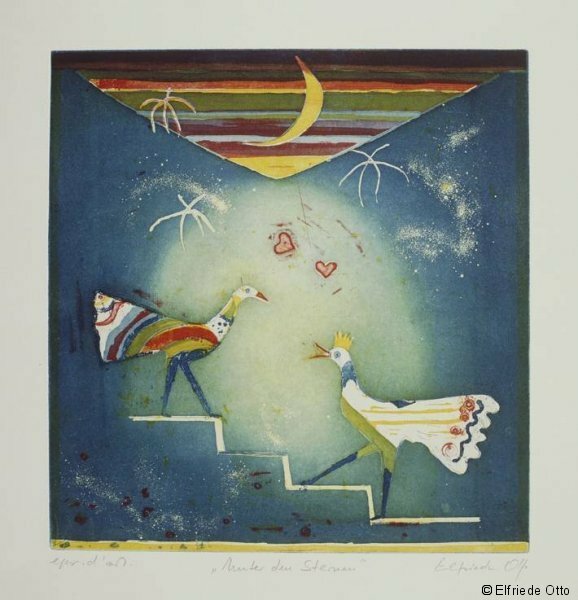 The cycle “Vision 2000” comprises etchings which were created in the Carborundum/ Aquatint technique, with the large format four-plate etching “Aufbruch ins All” (Departure into Space / 165 cm x 120 cm) certainly being a pinnacle of her success. 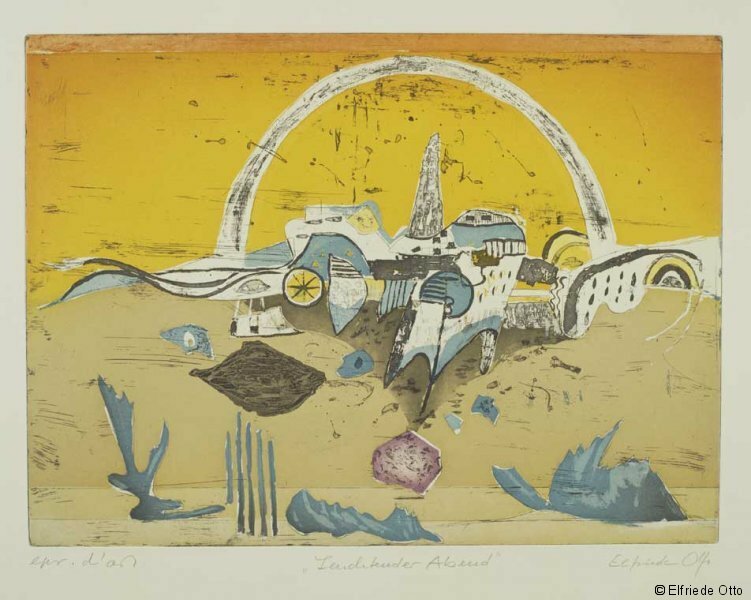 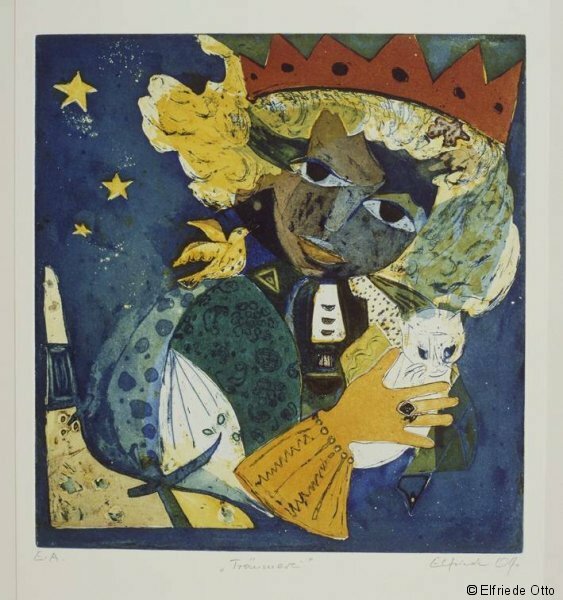 Not only was this etching exhibited at the renowned Graphic Triennial Festival in Grenchen/Switzerland, but it was also purchased by the Triennial Commission for the Art House of the City of Grenchen.